Are you interested in spending time abroad as an exchange student? Would you like to embark on this exciting adventure, but are not sure what it really involves? Living abroad as a foreign exchange student is one the most enriching and rewarding experiences you might imagine. Not only does it open your mind and grow you as an individual, but the thrill and fascination of observing another culture firsthand, is unmeasurable. A foreign exchange student is someone in high school or college who moves abroad temporarily through an exchange program. While part of the program, the foreign exchange student stays with a local host family, goes to classes at a school or university, and may even learn the country’s language. Host families are ordinary families living in your chosen city that will offer you room and board for the duration of your stay. An exchange student must achieve good grades, live according to the house rules of the host family, and honor the laws and customs of the country. In return, you will have the freedom to experience and explore your new home city and country, meet new people, and potentially travel to surrounding cities or countries during your time abroad. Exchange programs are typically run by companies, charities, and schools. It can cost up to $5000 to enroll in a foreign exchange program and spend a year living abroad. Host families rarely receive payment for hosting a student. Rather, they are looking to experience meeting someone from a new country, share their culture, and open their world to new possibilities. A few programs offer a small allowance to host families to cover the additional costs incurred by adding a new member to their household. The experience is designed to offer cultural immersion, allowing the exchange student to observe the day-to-day machinations of life in a foreign place with new eyes. Becoming a foreign exchange student is an enlightening experience that will grow you as never before and instill a deeper understanding of the world around you. A foreign exchange student is typically high school age and could stay with the host family for as long as a year. Some programs, however, are as short as a few weeks. 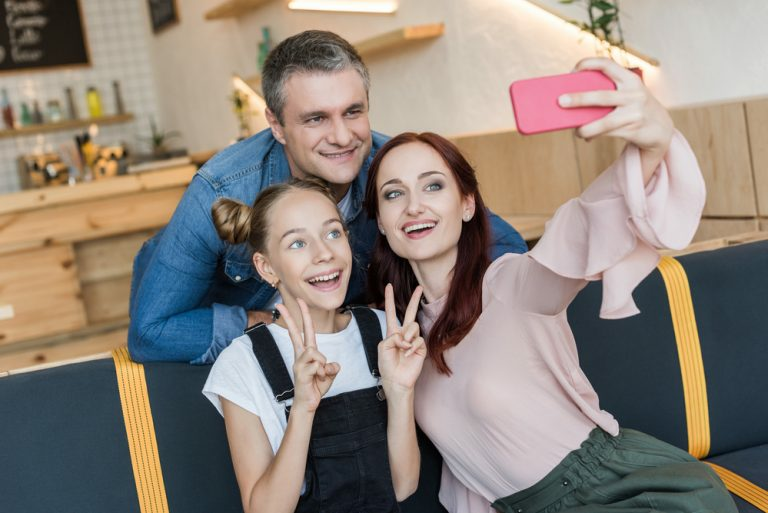 Some exchange students stay with multiple host families during their time abroad while others live with one family for the duration of the program. However, there are a number of foreign exchange programs for older students. A considerable number of universities have study agreements with other countries which allows you to live abroad for a year and enroll at a foreign university. Most of these programs place college students in Western Europe, but there are opportunities in other parts of the world as well. One of the main reasons anyone becomes a foreign exchange student is to fuel their wanderlust and travel the world. 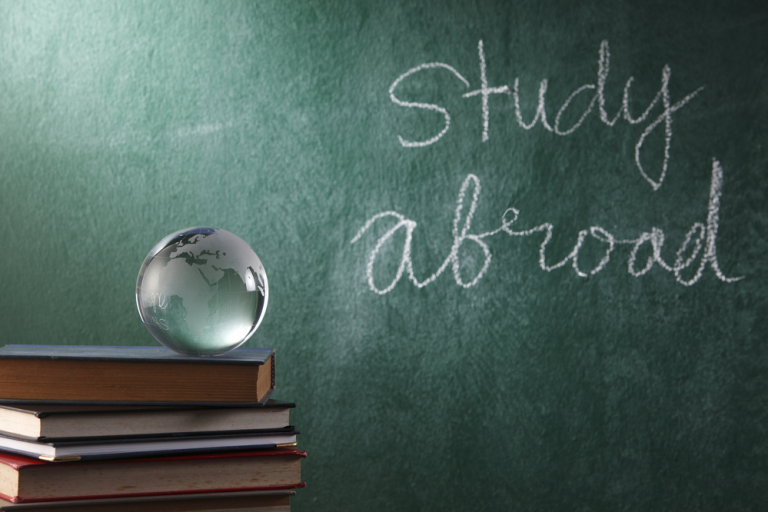 This may sound cliche, but becoming an exchange student allows you to do just that. You will witness, first-hand, the culture and customs of another country, drink in the sights and architecture, and eat the local food. As a foreign exchange student, you will have the chance to see new topography and geographic sites, enjoy fascinating museums, and visit historical landmarks. One of the best parts of being a foreign exchange student is the fact that travel to nearby countries is at your fingertips. For instance, if you become an exchange student in Western Europe, a plethora of countries and cultures are only a short plane ride away. In being so close to these neighboring countries, you will see far more than you might think at a considerably lower cost than if you were visiting from your home country. Observing another culture, including the associated norms and traditions, is one of the most rewarding aspects of becoming a foreign exchange student. You can read about these things in books or watch a documentary, but nothing beats the ability to witness them with a bird’s-eye view. You will be delightfully overwhelmed with new sounds, smells, foods, and people, ensconced in centuries-old traditions and social customs deeply embedded in the country’s unique culture. If you are looking to expand your educational opportunities, there is no better way to do this than as a foreign exchange student. For example, if you are in college, you will glean far more experience and knowledge from your major by achieving part of it in a foreign country. The difference in professors, classroom approaches, and concepts taught will enrich your learning experience and give you a broader view of your chosen course of study. You will gain a far greater understanding of your fellow man and the world around you and be learning with students from all over the globe. Once you graduate from college, you will find that employers look favorably on individuals who took part in exchange programs. This shows you are well educated, highly adaptable, open, and potentially bi-lingual. All of these qualities will boost your employability considerably. If it interests you to learn another language, there is no better way to do it than by complete immersion as a foreign exchange student. All the classroom practice and writing exercises in the world still do not offer you the same experience as studying a language in its native land does. While studying abroad, you will have plenty of opportunities to practice your language skills with your host family, locals, and fellow students alike. In studying abroad as a foreign exchange student, inevitably, you will grow and stretch yourself as an individual. You may find talents and interests you never knew you had as you take part in exciting activities popular in your host country. You will enjoy different music, theater, and films, opening your mind to new styles and types of recreational activities. You will experience an independent and open mind as never before. Your curiosity and interest in other people and cultures will be piqued. You may find yourself chatting animatedly with the local grocer or introducing yourself to a new friend at your favorite coffee shop. You will be forming connections that will leave an indelible impression on you for life. Plus, you will have amazing stories to share for years to come. Becoming a foreign exchange student will allow you to form lasting friendships with individuals from all over the world. Often, the connections you make while abroad will be some of the deepest of your life, lasting many years after your exchange has concluded. There are some fundamental dos and don’ts to remember when studying abroad as a foreign exchange student that will ease your life greatly and help you enjoy your experience in full. When you are applying to an exchange program, be sure to communicate any needs you have relevant to your host family placement. If you have certain types of allergies or dietary restrictions, for example, include these on your application. The more information you provide to the exchange organization, the better your match with your host family will be. Maintaining open lines of communication with your exchange program is also important in the event that your host family is not an ideal match. If you continuously experience issues or frustrations with your host family, the organization can help to resolve these differences or move you to another home if necessary. Alternatively, if you love your host family, let the exchange program know, so they will continue to match students with them. Be sure to socialize with your host family while living abroad as a foreign exchange student. Most exchange programs include your meals, offering an excellent opportunity to get to know your host family while enjoying delectable local dishes. One of the best ways to break the ice and endear yourself to your host family from the start is by bringing a gift for them upon arrival. Bring something unique to your home country and try to customize it to the family you will stay with. The host family is opening their home to a complete stranger, so offering a token of your appreciation for their hospitality to open the initial bond of friendship is invaluable. Depending on where you live as a foreign exchange student, you might experience some significant cultural differences and diverging norms. Read up on the customs and expectations of your host country before departing, making sure to adhere to any dress code obligations. Respect the differences in religion and culture even if they differ vastly from your personally held beliefs. Adjust your habits and approach if necessary and you will make the most out of your stay abroad. This may seem like an obvious point, but it bears touching upon. As a foreign exchange student staying with your host family, be sure to keep the areas of the house you manage organized and tidy at all times. Do not leave clothes all over your bedroom or let the trash bin overflow. Treat the host home as if it were your own, with care and consideration. If you feel it is appropriate, make the extra effort to cook your host family a meal, do chores, or grab their groceries. This will go a long way in endearing yourself to your host family and speak volumes for your respect of the time and effort they are making to host you. Along the same lines, avoid being overly demanding of your host family, complaining about small or unnecessary things like not being able to find your favorite snack or disliking a particular meal. Depending on the country you are studying in, the normal quality of life may differ considerably from that of your home country. Learn to discern between situations that warrant speaking up and those in which it would be rude to demand more. With that being said, there may be an occasion where you must stand up for yourself. Most host families are kind and considerate, and may well become lifelong friends. On rare occasions, however, hosts do not put in the effort to make your experience a pleasant one and may be very difficult. In the event this were to happen, say something. Try to keep the lines of communication open and resolve the issue in a mature manner. If the situation is bad enough, you may need to speak to your exchange program to see if they can transition you to a different host home. Even if you leave on less than positive terms, always remain respectful and polite when speaking with your host family. One of the most intimidating things about moving to the foreign country is the inability to communicate easily with the people around you due to the obvious language barrier. While it may be easier initially to remain silent rather than practicing the language and making mistakes, this will inhibit your ability to connect with your host family and others around you. Do not be afraid to make mistakes. Your host family will probably appreciate the efforts you are making to learn their language and help you out rather than judging you for your mistakes. While your host family may be incredible, you want to be sure to explore outside the house and make new friends when living abroad as a foreign exchange student. Try to find a balance between downtime with your host family and socializing with new people. A combination of the two will enhance your time abroad considerably. Finally, when your fantastic experience as a foreign exchange student has ended, do not forget to express your thanks to your host family for all they have done. Letting a complete stranger into your home to live for up to a year is no small feat. Your host family will have shared their lives, experiences, food, and culture with you, giving you an invaluable gift you will carry with you always. Take the time to let them know you appreciate their efforts. Write a note or give your hosts a small gift to say thank you. If you developed a close relationship during your stay, keep in touch. There is nothing so wonderful as having a second family in a foreign land that suddenly does not seem foreign anymore. Moving abroad as a foreign exchange student will open your mind and heart to the endless possibilities the world has to offer. Your time living abroad will awaken a sense of adventure and fierce independence you might not have known you possessed. While it may be scary to take the leap at first to become an exchange student, when your time abroad has finally come to a close, you will treasure immensely the memories of the people you met, the experiences you had, and the places you have seen. In short, your life will be changed forever.